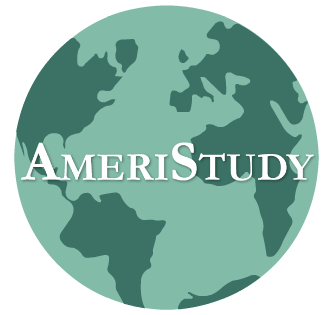 AmeriStudy is a strategic network of accredited private universities and colleges and partner high schools in America who are top choices for international students who are considering study in America or the United Kingdom. Through the AmeriStudy website, international students can find specific information about campus programs all across the United States, links to applications for international enrollment, testimonials from other international students, as well as valuable scholarship information. International students can gain an edge to find just the best fit for them as they pursue higher education. STEP 1 – EXPLORE and CONNECT: Begin by reviewing our campus options here. All of our universities and colleges are accredited and ranked in the USA. Read about each school and determine which may be the best fit for you. Then fill out the short survey form (found below the map) so that up to 19 universities can connect with you and help you through their application process. STEP 2 – ACT/SAT PREP: American universities usually ask for a score from either the SAT (Scholastic Aptitude Test) or the ACT (American College Test) as a critical piece of the application process. Although some may not require either score, a student applying for scholarships or financial aid must submit one of these test scores. AmeriStudy offers online assistance with videos and course materials that offer a great investment return as you seek acceptance to American universities or scholarship assistance. SAT prep assistance is available now with ACT help coming soon. ENGLISH PRE-ENTRY: Looking to build up your English skills before entering an American University or College? Several of our schools offer intensive English study courses that can help to prepare you for English university coursework. Click here to learn more. Please continue to browse this website for additional information on the process for prospective international students and high school students. Have more questions? Click here to fill out our Connect Form.